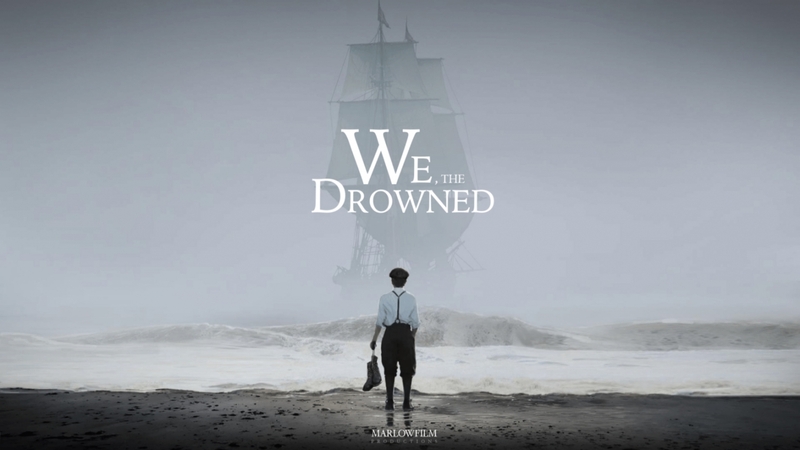 Marlowfilm Productions secures funding for development of eight-part drama series We, The Drowned, based on the novel by Carsten Jensen. Currently in late stages of development, the TV project based on Carsten Jensen’s best-selling novel, will be directed by Danish born Hollywood-based Mikael Salomon, episodic director of Steven Spielberg’s Band of Brothers, and multi-awarded cinematographer (The Abyss). Norway’s experienced writer Jan Trygve Røyneland handles the screen adaptation. The epic historical TV series will focus on a group of men on the high seas and the women and children who await their return amidst the deepest betrayals and unexpected loves, from the sun-bleached Caribbean to distant Australia, from mystic Shanghai to glittering New York. Nordisk Film & TV Fond, 10/2018. Historical Epic ‘We, the Drowned’ Being Adapted for TV, Variety, 10/2018. Carsten Jensen’s ‘We, the Drowned’ to be adapted to English-language Danish series, Cinema Scandinavia, 05/2018. Banijay picks up Drowned for Cannes, C21 Media, 10/2018. Regional Danish film fund FilmFyn first partner on board to fund tv-series ‘We, The Drowned’, FilmFyn, 05/2018. Last year I made an interview with our Beloved Morten. Being somewhat nauseated by my danish accent I never listened to it before now. Never wanted to. But now when we can no longer hear his laughter and share his joy it's a blessing to have one of our conversations recorded. (It's only fun if you know me and know Morten and understand danish) ...In the sadness that fills us I hope that we all can honour him and his family by being More Like Morten. And this world will be a better place. RIP Buddha man. Thank you and goodbye to all the cast and crew on Gentleman Jack. It’s not always easy to merge working cultures at such a frenetic pace but you did it with grace. All 200 plus of you. It felt a bit brutal at times (especially if you were wearing a corset for 10 hours or got a twig in your eye) but I hope it was worth the career experience for the rest of you. Months of preparation have resulted in some gorgeous sets which you’ll have to wait until the HBO premiere to see but you can look forward to it. Thanks also to the lovely people at Lookout Point for your trust and support. Now everyone go home to your families and get some sleep.